New Front Extreme Duty Jeep JK Wrangler Rubicon or Non Rubicon OEM Flange Style 1350 Series CV Driveshaft With Solid U-joints Custom made by Adams Driveshaft. Application: 2007 to 2018 Jeep JK Wrangler's 2 or 4 Door Models up to a 4.5" Lift. The reason this driveshaft is Called O.E.M Style is because it comes with a flange on the Front Slip Yoke that will bolt to your existing front factory pinion flange making it Easier for you to Install. 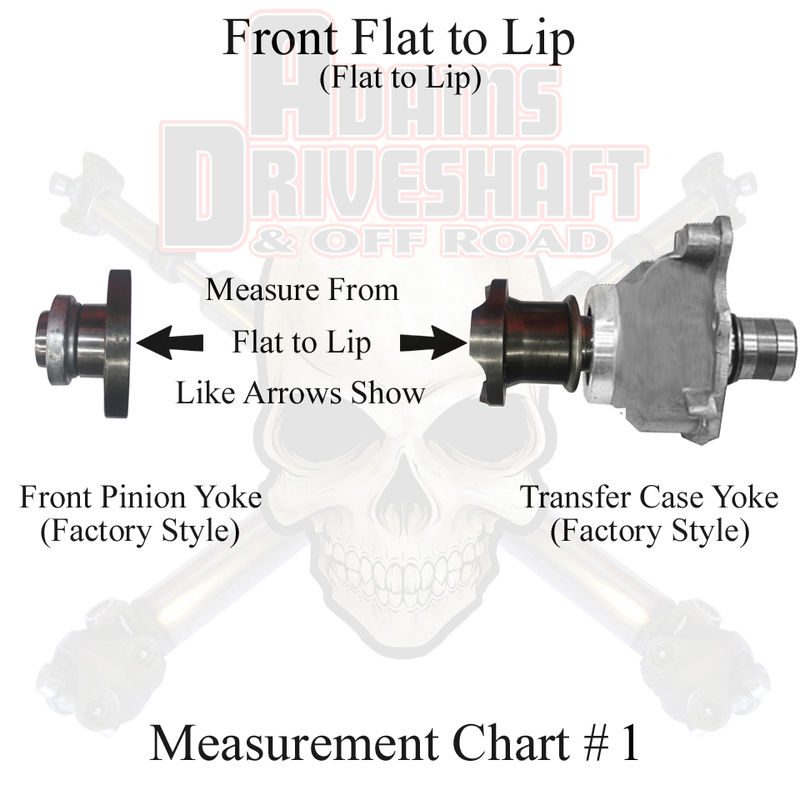 These driveshafts are custom made so if you have altered the front or rear differentials, or transfer cases example [Dyna track housings, or Atlas Transfer cases] we can accommodate you we would just need to know this Information and may need you to get us a measurement. We do know most of the measurements of your JK, but there are some we do not due to the many different size of lifts, T-case Swaps, and differential Swaps. 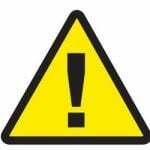 Please e-mail us, the Year, Make, Model, Lift Size, or call us at 702-568-5680 between the hours of 8:00 to 5:00 pm Pacific time Monday thru Friday after you have purchased the Item. If you have Coil Overs, Rock Krawler brand Lift kit, a Lift Higher that 4.5", have installed a different T-case, or a Different Differential we will need you to get us a measurement. You could use the measurement chart below to get the measurement. Bigger tires adds more Weight, Traction, and more Pressure on your Drivetrain Components like your Driveshafts, Axles, Gears, Etc so you want to make sure you are buying the right driveshaft for your Jeep. This Extreme Duty Solid 1350 CV Driveshaft will work up to 42" Tall Tires. 1350 Solid Non Greasable U-joint 2" X .120 Wall Rock Crawler CV Driveshaft. Lifetime Warranty if you twist our Tube by Torque or break a Welds. Click the button below to add the ADAMS DRIVESHAFT OEM Flange Style JK Front 1350 CV DRIVESHAFT SOLID U-JOINT [EXTREME DUTY SERIES] to your wish list.